I have been having issues with my computer instantly powering off, as if the electricity went out, then it powers back up right away. I took it in for repair and was charged around $200. They replaced my video card and said that the issue was because the video card was failing. Now that I have my computer back. it is still doing the same thing. It typically happens when I'm watching any video, or playing simple games (like runescape). That's the only game I play on here. The only other thing I do on the computer is I download and edit Xbox clips using windows movie maker. The computer also crashes while doing that. I know that my computer is not overheating because the fan is working, the dust is cleared out, and I had an additional fan installed when my computer was being repaired in case overheating was the actual issue. I don't want to keep taking in my computer so they can say they found the issue (but actually guess), change some part, and charge me for the time and parts. Does anyone know what the issue could be or how I can find out what is going on? I can't afford to keep sending it in. Any failing hardware component in your computer could cause your computer to unexpectedly turn off without warning. If you have recently added any new hardware, remove it from the computer to make sure it is not the cause of the problem. Make sure any surge protector or Uninterruptible Power Supply (UPS) is not the cause of your problem by connecting the computer directly to the power outlet on the wall. 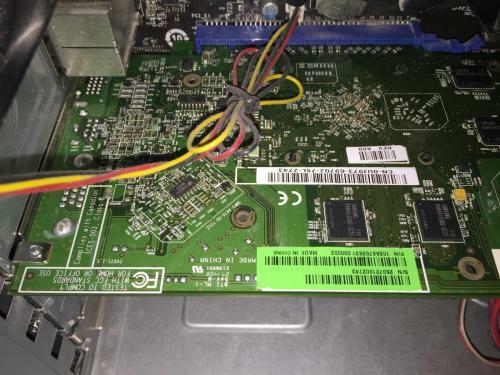 If it's possible disconnect the graphic card from its slot and see issue persist if it does then it could be defected power supply unit. Working fans does not indicate that the computer is not overheating use SpeedFan to monitor computer temperatures. Clean all dust and dirt from CPU, Fan and other components. You should also clean and apply new thermal paste to CPU. Edited by FreeBooter, 24 April 2018 - 06:57 AM. Thanks for chiming in on this. I'll take any advice I can get. Here are a few pics of my computer. I hope it can help you get more of an idea. I'm not 100% sure on the details because my computer was originally custom built. The model is a Intel Core i3 (BF2010). Edited by lX V1P3R Xl, 24 April 2018 - 05:26 PM. I'll post two more pictures. Edited by lX V1P3R Xl, 24 April 2018 - 05:29 PM. 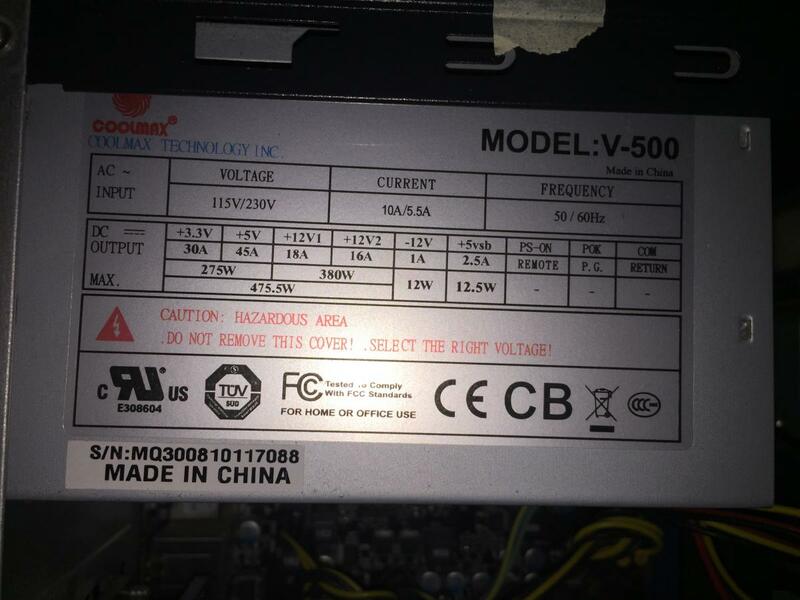 My eyes aren't that good to make out brand name and module number of the motherboard if you can please post these information's. Have you followed any one of my suggestions, if you have please let me know which once you have followed and what were there result. Edited by FreeBooter, 25 April 2018 - 02:17 AM. I took it in for repair and was charged around $200. How long ago was this, if only within the past week or so you should take the computer straight back to the person/s that supposedly repaired it. In addition to the motherboard details that FreeBooter has requested can you also tell us the model name or number of the video card that has been fitted. Your input always welcomed @phillpower2! I agree with Phillpower2 on this. If you paid them for a job recently them they should look at again. Of course we will help you where needed on this. Hello guys, again... thanks for the help on this. I really appreciate it. I have begun trying your suggestions. Speedfan shows all temps hovering at the low to mid 30 degrees Celsius. Also, I cleaned the dust and dirt from the inside. I didn't apply thermal paste because I don't have any and I don't know where I should put it if I did. I currently am trying a direct plug in to the wall instead of a surge protector. If the computer still crashes, I'll try pulling the graphics card next (if it's possible, I'm not sure yet). Testing will take a little time because the computer doesn't die 100% of the time. I'd give it more of a 60% of the time it dies when I'm watching/editing videos on it (my only computer use). I want to test these suggestions one at a time so I can find out exactly what the problem is. I have already considered this and will take it in again if I have to at hopefully no extra charge. The reason why I hesitate is that I went to a local shop because I didn't want to hand my wallet to a well known store as I have in the past. Simply put, I don't have a lot of trust in the local store. When I went in I almost left immediately on how sketchy it felt but I ended up doing it anyway because of cost. It's a small place basically in a guy's house. I know I had a good video card before and he kept it after saying it was broke. 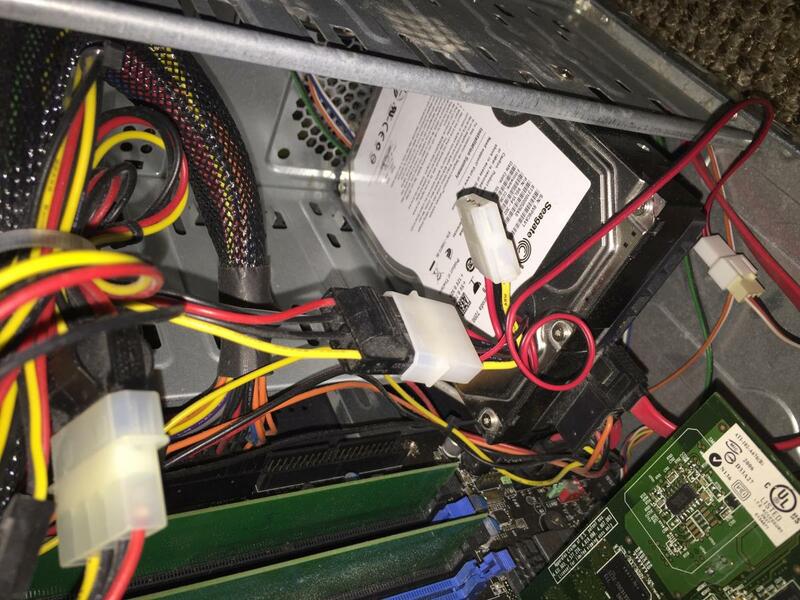 Currently, my computer won't even open up Runescape and I'm assuming it's because the card that he put in can't handle it. Dumb me didn't think of the fact that he kept the old video card until a friend pointed it out to me a couple weeks later. I believe I took it in to him in late Jan or early Feb.
A couple things. 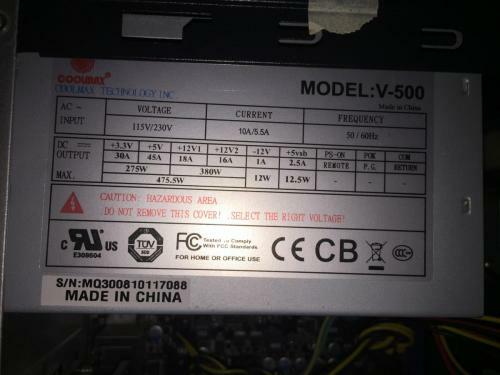 The power supply is low by today’s standards at 475w. And if you paid for a new graphics card then the other one belongs to you. Take your time to diagnose the problem we'll be here when you need us. The specs you have provided to us belongs to Seagate hard disk drive. Since you paid for the repairs already, just take your computer back to them, and make them fix the real issue. Don't let those 200 bucks go to waste.